This short passage of scripture carries significant power for the believer that is committed to putting its principles to use. When the message revealed in this scripture is fully understood, it produces power, stability, and effectiveness in the life of the believer. There are several elements present in this verse of scripture that must be examined closely to be understood in full. In this verse trust calls for the believer to completely place themselves in the hands of God. This calls for a blind faith; trusting God beyond what can be seen or understood. It is the natural proclivity of humans to move within the scope of their reason. People have the need to understand and rationalized the decisions they make, but trusting God requires the believer to set aside trust in their own limited understanding of the world around them and place their life in the hands of God. Trust is executed through the believer’s ability to completely rely on God to have their best interest at heart, but it is even more than that. It is also having the faith that God is wise enough and powerful enough to lead us and act on our behalf. It is one thing to know that someone wants what is best for you, but it is an entirely different thing to believe that they are capable of providing it. Trust is the very foundation of all of our social functions. The government, the economy, relationships, even academic advancement is built upon trust. When trust is missing indecisiveness and inconsistency is not far behind. In the context of this passage, leaning is not simply resting on the strength of God; it is totally relying on His power. It is the result of realizing that your own understanding pales in comparison to the wisdom of God. It is ignoring your own reasoning and totally depending on God to guide you. When believers are able to lean on God they find that He is more than capable of fully supporting them and meeting all of their needs. When the Apostle Paul prayed to God to remove the thorn (not literal) in his flesh, God simply replied that His grace was sufficient enough to sustain Paul through the discomfort, and that His strength would actually be fully manifested through Paul’s weaknesses revealed by the thorn. This gave Paul new insight on the power of depending on God rather than self. Paul responded by saying he would boast concerning all of his weaknesses, because through those weaknesses he would become infinitely stronger. Paul came to the realization that his greatest strength was not in himself, but in his ability to totally lean on God. The ability to completely lean on God requires the acknowledgement that you are not able to face all of the challenges of life on your own. It requires an understanding that there will be situations that extend beyond the boundaries of your limited understanding and power. To “acknowledge” in this verse does not simply mean to speak of, but to be completely aware of God and who He is, as well as what He is capable of. To acknowledge God is to move in a manner that considers his will for your life in every area. When you acknowledge God, you acknowledge his complete essence (all that makes Him God) and you transform your life to meet the standards that He has set. To truly acknowledge God is to completely submit to His sovereignty. The verse concludes with a simple promise: “He will direct your path.” When you make up in your mind to trust God without restraint; when you determine to acknowledge and lean on Him for everything you need, he guides you in the direction that is best for you. It is important to understand that many times the direction that God takes you in will not be the direction you feel you should be headed in. This is why trust is so important. It can be easy to act on your own when it seems that things are not going the way that you believe they should. The Bible reveals that God’s thoughts and ways are far higher (in standard, process, and effectiveness) than your own. God does not need rationale to direct you because He knows the proper path for you. It may not make sense to you, but it makes perfect sense to Him. What this verse clearly reveals is the fact that the believer is not left alone to figure things out on their own. God has graciously provided a plan in which simple and blind trust in Him will result in clearer understanding of the direction you must take. It frees the believer from the independence that actually stifles their power and opens the doorway to the Divine assets available to them through God. It is when believers attempt to figure things out on their own that they begin to get themselves in trouble. When the believer takes the “I know what I am doing’ approach to Christianity, it always leads to disaster. Any time you determine that you know more than God and that your way is better; you set yourself up for inevitable failure. You are telling God that you don’t need him, you’ve got it. The truth is that you don’t have it. You have exposed yourself to the schemes of the enemy (Satan) and failure is certain. When you learn to totally trust God in all things, you will find that all things all possible. 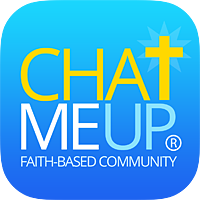 Article © 2014 Christian Faith-Based Community, CHATmeUp.com Inc. All Rights reserved.